Published: Dec. 16, 2018 at 05:31 p.m. Published: Dec. 10, 2018 at 10:35 p.m. Published: Nov. 25, 2018 at 02:57 p.m. 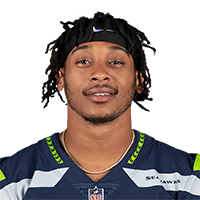 Published: Sept. 30, 2018 at 04:47 p.m.
Seattle Seahawks cornerback Tre Flowers forces a fumble of Arizona Cardinals running back David Johnson, and Bradley McDougald scoops in to recover it.